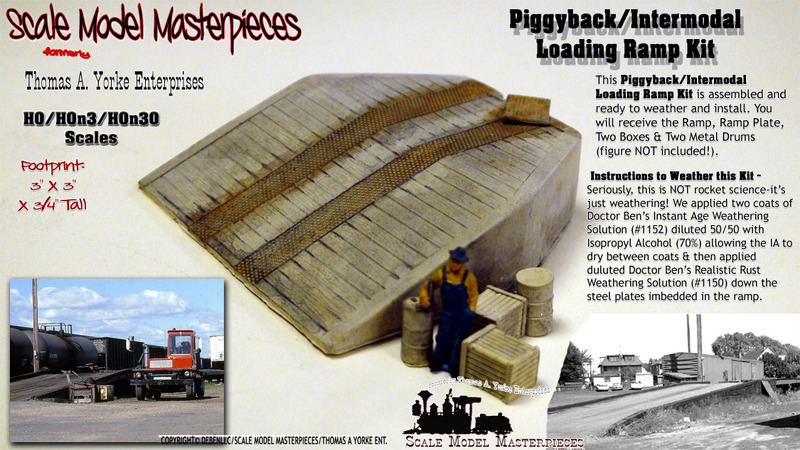 This Piggyback/Intermodal Loading Ramp Kit is assembled and ready to weather and install. You will receive 6 pieces: the Ramp, Ramp Plate, Two Boxes & Two Metal Drums (figure NOT included!). Nice casting, no issues. Decide to paint as a sealer and then weather.